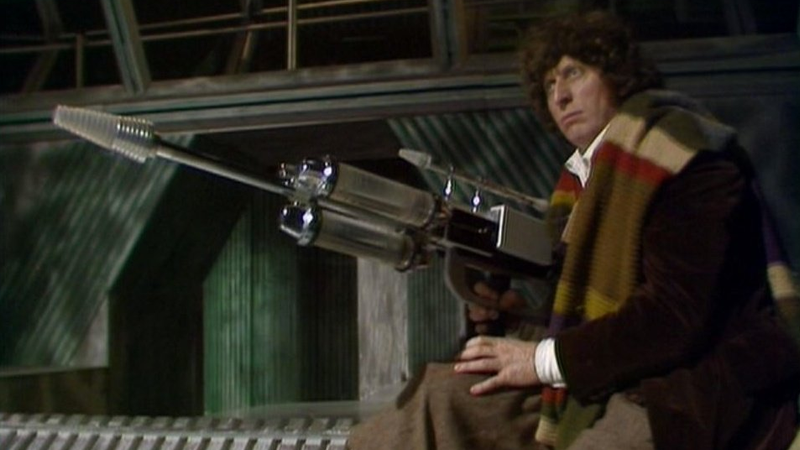 Tom Baker with a big gun? All this and more will be coming to Twitch next week! Hold on to your butts, Doctor Who fans. Twitch’s latest TV marathon is seven weeks of wonderful, insane time-travel delights: seven whole Doctors’ worth of Who stories airing back-to-back. Announced today by the streaming service and the BBC, in the vein of Twitch’s equally absurd marathons of Power Rangers, Bob Ross, and many more, the next TV marathon on the livestream service will be dedicated to Doctor Who. Specifically, the classic version of the show that ran from 1963 to 1989. Starting on May 29 and running until July 23, the marathon will air 500-plus episodes worth of stories from the first seven incarnations of the Doctor’s adventures in time and space, in approximately six to seven-hour blocks beginning at 11:00 am PDT Mondays to Fridays. If you miss any, each block will be repeated twice immediately after, so wherever you are in the world, you’ll be able to join thousands of other people live-watching, frankly, copious amounts of Doctor Who. There will be Daleks! There will be jelly babies! There will be... emotes! These are some very good faces, right here. Yes, really. Twitch is going all out, or as out as you’d expect with an insane, nearly two-month-long marathon of old-school British scifi. Fans watching in the US, Canada, and the UK will also be able to take part in weekly competitions throughout the marathon, including sweepstakes to win tickets to this autumn’s London Film and Comic-Con. But surely watching so much Doctor Who will be enough of a prize, in and of itself? Twitch’s Doctor Who Marathon will begin on the Twitch Presents channel starting next Tuesday, May 29. Plan your time off accordingly, Whovians—but if you want to find out when specific episodes will be airing, schedules are available on the official Doctor Who website in both UK and US (Pacific) times.